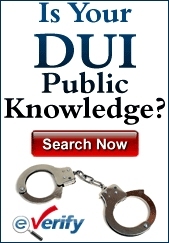 In New Jersey, drunk driving is a traffic offense and not a criminal charge. That, however, doesn’t alter the fact that it is taken very seriously and law enforcement is constantly looking for vehicles that are being operated by drivers under the influence. 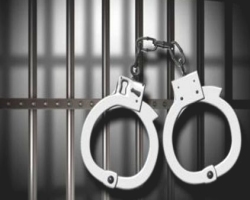 There are certain penalties for a driver when he or she is caught and convicted for a first offense. Those penalties grow harsher for a second offense. They are worse for a third offense. The penalties are also linked to the blood alcohol content which is attached to the age and status of the driver. Drivers in New Jersey might not realize that law enforcement officers are not allowed to make a DWI stop unless they have a viable reason for doing so. This can be a driver swerving on the road, driving too slowly and violating traffic laws. The officer will look for indications that the driver has been drinking such as glassy eyes and slurred speech. If there is still evidence of a DWI being committed, field sobriety tests such as the Walk and Turn test and the One-Leg Stand Test will be administered. Then a breathalyzer test will be given. In New Jersey, there is the rule of implied consent that states a driver must submit to field sobriety tests if an officer asks them to do so. If they refuse, they will face a charge of refusal even if they have not been drinking or weren’t legally drunk. A driver age 21 or over who registers a BAC of 0.08% or higher will be charged with DWI. For drivers under the age of 21, the level is 0.01%. For commercial drivers, it’s 0.04%. When a driver is convicted of a first offense DWI, he or she will face a driver’s license suspension, fines, surcharges, other financial penalties and possible jail time. If the BAC is 0.08% and less than 0.10%, the driver’s license will be suspended for three months. There is the possibility of up to 30 days in jail. The fine will be for between $250 and $400. There will be annual surcharges of $1,000 for three years. $230 will be paid to the Intoxicated Driver Resource Center (IDRC). $100 each will go to the drunk driving fund and the Alcohol Education and Rehabilitation Fund (AERC). $75 will go to the Neighborhood Services Fund. If the BAC is 0.10% or higher, there is a driver’s license suspension of seven months to one year. The fine is for $300 to $500 and all other penalties are the same as for the lower BAC. If the level is 0.15% or higher or the driver is found to have been under the influence of drugs, an ignition interlock device will be installed on the driver’s vehicle for the duration of the driver’s license suspension and for six months to one year after. For a second DWI conviction, the penalties are harsher. If the second offense occurs within ten years of the first, the penalties are as follows: the driver’s license will be suspended for two years; the fine will be for between $500 and $1,000; the IDRC fee is $280; all other financial penalties stay the same. There could be between 48 hours and 90 days in jail. The driver could face 30 days of community service, 12 to 48 hours in the IDRC and an ignition interlock device for between one and thee years after driving privileges have been restored. Because DWI is treated so seriously in New Jersey and can put other drivers, pedestrians and property in jeopardy, the penalties increase significantly when a driver commits repeated DWI offenses. If a driver is caught and convicted for DWI three times, the penalties will be significant. For a third offense within ten years of the second offense, the driver could get as much as six months in jail. The driver’s license will be suspended for ten years. The fine will be for $1,000. The IDRC fee will be for $280. The payments for the drunk driving fund, AERF and Neighborhood Services Fund all stay the same as for the other levels of offenses. The annual surcharge is for $1,500 per year for three years. There might be 90 days of community service and this can lower the amount of time spent in jail. 12 to 48 hours will be spent at the IDRC. An ignition interlock device will be placed on the driver’s vehicle while the license is suspended and for one to three years after driving privileges have been reinstated.